Ok, I know you’ve probably seen buttercream rosettes before…unless you just got the internet or something. 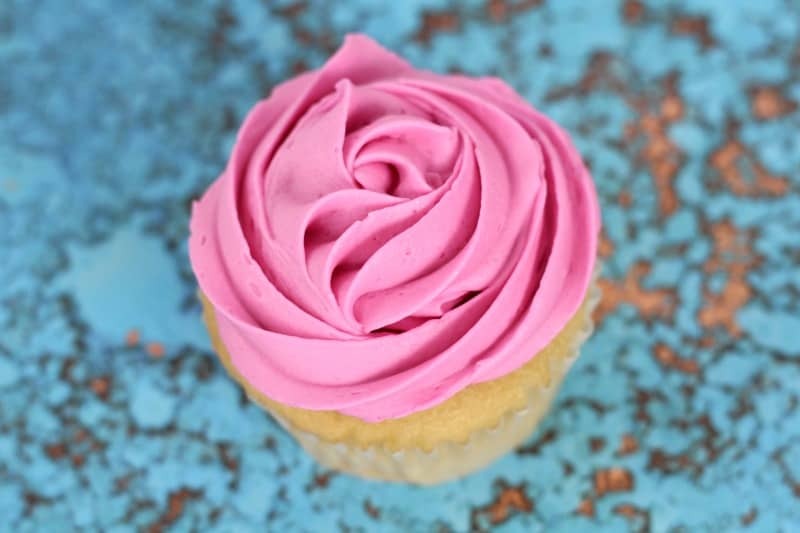 Well, the rosette is pretty much my ‘go-to’ design when I make cupcakes, but I do things a little differently. Now, this isn’t a scientific breakthrough, but it’s just one added step I like to take to make better buttercream rosettes. I call them buttercream rosettes my way. 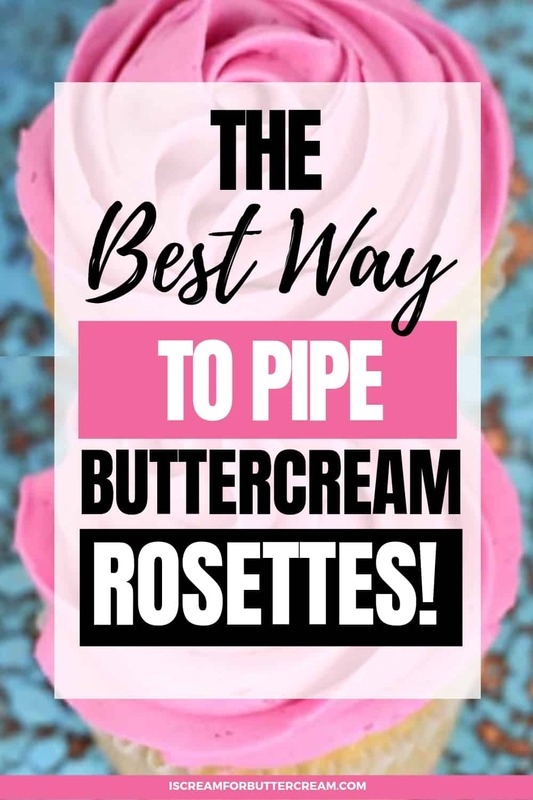 In this tutorial, I’m going to show you two ways to do buttercream rosettes PLUS the added step I take when piping them. Well in my opinion, it just doesn’t seem like there’s enough icing. 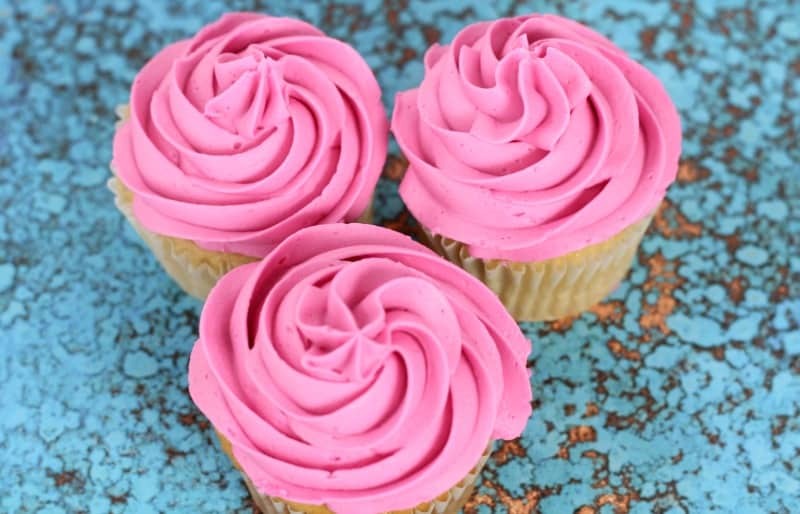 They just seem a little flat to me and you know how I LOVE my buttercream. To make mine a little more substantial, I just add a little buttercream to the middle and build up a base. Don’t forget to check out the video below, so you can see what I mean. This rosette is probably what most people think of when they hear the word ‘rosette’. 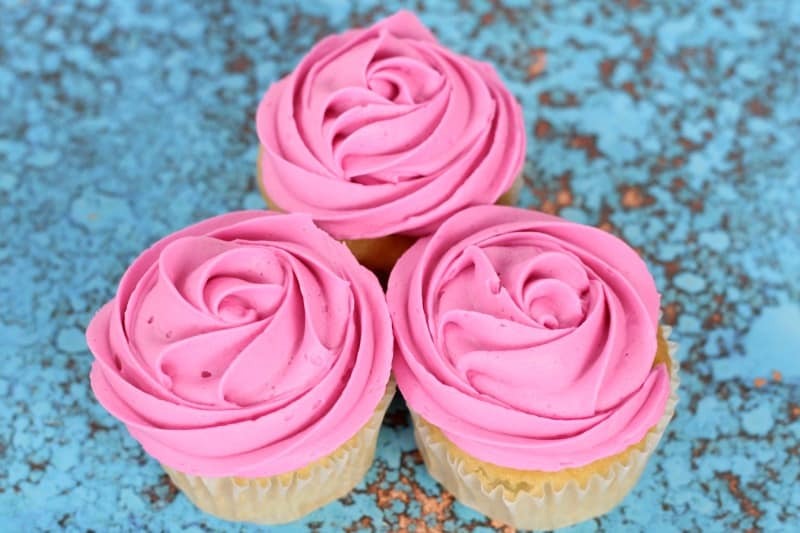 It’s very simple and easy to do, but it really gives your cupcakes a professional look. For this rosette, and the other, I really like to use the Wilton 1M tip. 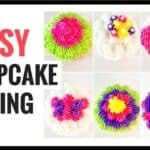 You can also use the Wilton 2D and that will give it a more frilly ruffly look. 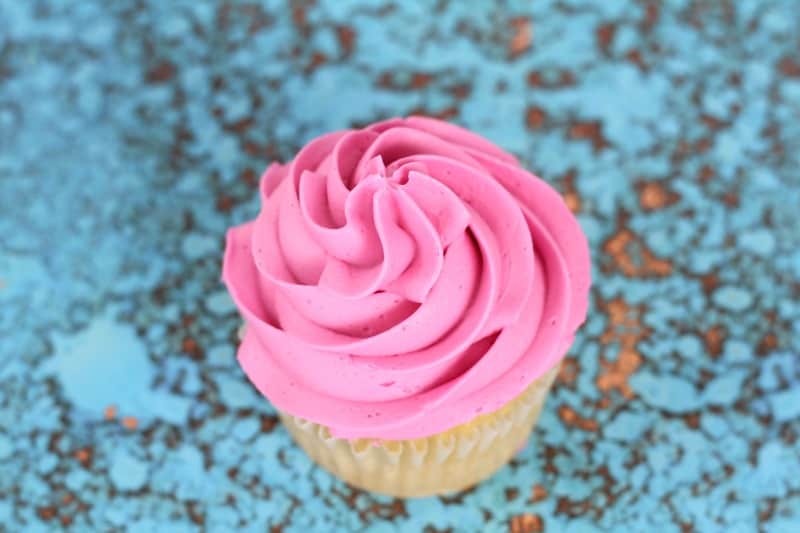 The added buttercream in the middle keeps the rosette from having kind of a hollow area in the middle toward the cupcake. It adds a little height and really, who’s gonna complain about extra buttercream? Ok, that title sounds a little redundant, but I think you know what I mean. It’s the rosette that actually resembles a rose. It actually looks like rose petals. I use the same Wilton 1M tip with these, but you can also use the Wilton 2D as well. It’s really easy for this type of rosette to look very flat. 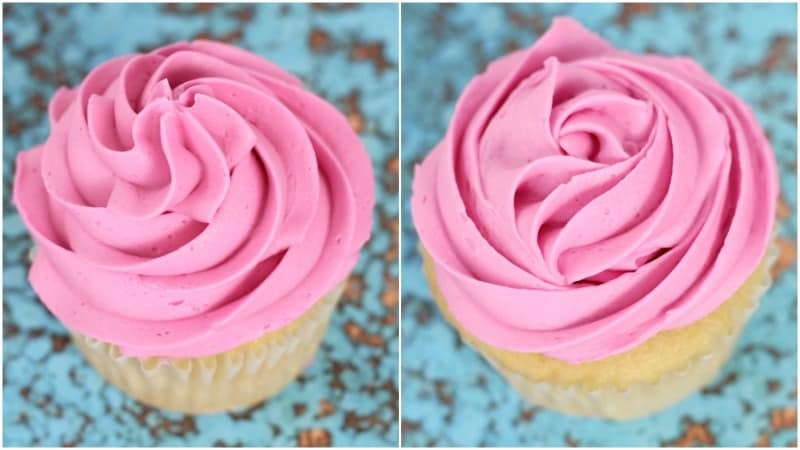 If you just pipe a base in the middle of the cupcake, you can then start piping your rosette over it and it’ll really look so much better. For these rosettes, you’ve got to start swirling from the middle, out. It’s the exact opposite of the original rosette. You can also get my favorite go-to vanilla cake recipe here: Favorite Vanilla Bean Cake Recipe It’s also great as cupcakes. 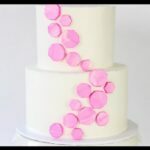 If you are interested in learning more about cake decorating in an easy, step-by-step format, check out my cake decorating course! 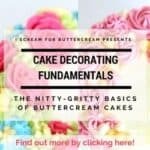 Click here to find out everything that’s included: Cake Decorating Fundamentals: The Nitty-Gritty Basics of Buttercream Cakes. If you found this tutorial helpful, I’d love it if you subscribed to the blog. It’s free to do so and you’ll get some fun and creative caking ideas out of it.